Fifa President Gianni have stated that the Nigerian team risks ban from international football competition if the fail to resolve their current leadership crisis. The case which have lingered for four years is expected to be resolved at the Federal High court in Jos, Plateau on Tuesday but it was adjourned to 25th of September. Pinnick approached the court for relief after the Supreme Court judgment which ordered him to comply with the lower court’s order that compelled him to vacate the office for Giwa. Giwa on the other hand is not recognized by Fifa as he is currently on ban. He also lost the case with Pinnick at Court of Arbitration for Sport which is no doubt the highest court for sports related issue. “The situation is very clear, there can be no interference in the running of the association. That’s the end of it. 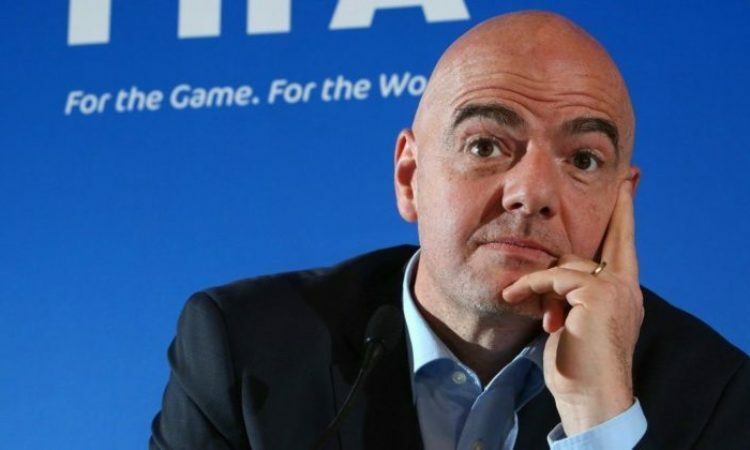 If any external body thinks they can change this, then of course Nigeria could be banned,” Infantino sounded during his interaction with the media in Moscow on Friday. In the event the ban happens, the Super eagles will miss the African continental showpiece and this could have an effect on teams placed in the same group with the country.